The S-1478 is the Silvertone version of the Harmony H-19. The difference is that this has the silvertone pickups instead of the "moustache" pickups on the H-19. 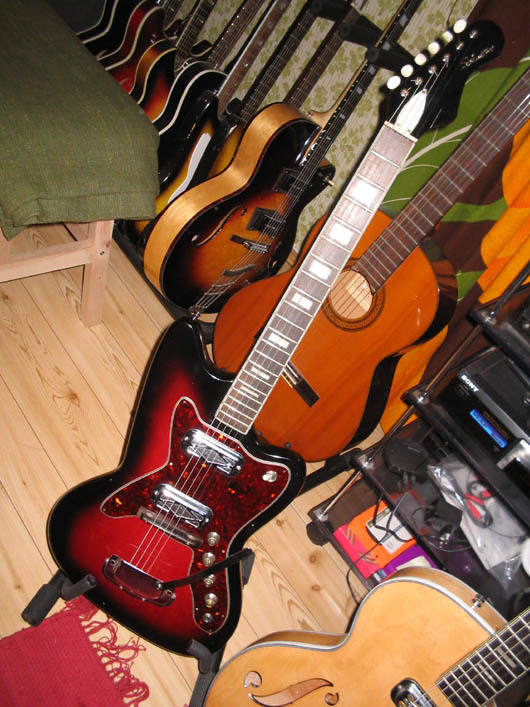 The bridge and Vibrato/tailpiece are also standard stuff instead of the Hagström "Tremar" unit on the H-19. This (and the Harmony H-19)is one of the best deals available in vintage guitars. These are higher quality than the Bobkats (which aren't bad either...) and can still be had for less money than anything comparable. These were actually among the more expensive Harmony-made guitars when new. The 1965 price list has the same price for a H-19 as for a Meteor!